Is Physical Therapy Effective for Headaches? 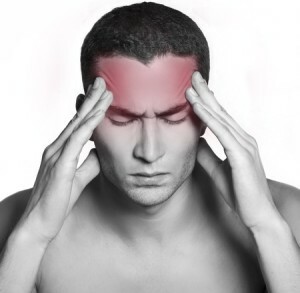 Headaches can be caused by a number of conditions; this includes sinus issues, tumors, vascular issues and others. There are headaches that are caused by problems with your joints and muscles. Physical therapy can help in treating headaches that are caused by musculoskeletal problems like lack of neck motion, muscle tightness and tension, posture, disc pathology and even tightness in the back in-between the shoulder blades. There are lots of patients who report for therapy with symptoms in the neck also report recurrent headaches; some patients are not aware that the two may be related. Also, there are patients that come to therapy that are suffering from headache only. When an individual visits the clinic with complaints of recurrent headaches, an assessment is performed to identify the origin of the problem and to know what to do about it. After determining that the origin of the headache is likely from the neck and surrounding areas, some treatment approach may be utilized. Treatment may consist using cervical traction, neck stretches, posture education, shoulder blade, mid back, rib, and neck mobilizations, pectoral stretches, heat or ice, muscular releases and muscle energy techniques, soft tissue mobilization, neck and mid back strengthening, and McKenzie-based diagnosis and therapy of the spine. Every patient has different treatment approach since each headache maybe due to something distinct for each person. Treating headaches with physical therapy can be effective and works fast. A number of patients may visit the clinic complaining of headache during the first visit and leave the clinic without the headache. However, there are patients that may need a few weeks of therapy to treat severe motion and strength problems. Persistent headaches with musculoskeletal in origin and have been manifesting for long periods of time may not totally go away unless addressed using therapy. Physical therapy is particularly worth trying if headaches are becoming a part of daily life. Call your Denver physical therapist if physical therapy is a good option for treating your headache. They are always ready to cater complimentary screening if your headache will respond to physical therapy. Call 303-757-7280 to schedule a free consultation at Denver Physical Medicine & Rehab.